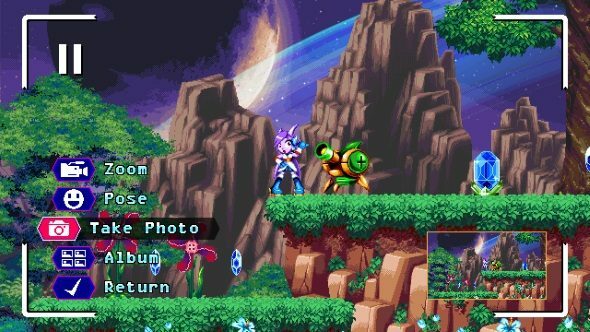 Sonic Mania may have been a solid reminder that there’s still an audience hungry for old-school, high-speed platforming, but let’s not forget that tiny indie outfit GalaxyTrail got there first with their sleeper hit, Freedom Planet, which originally released to little fanfare but eventually became a multi-platform hit. While Freedom Planet 2 won’t be ready in time for 2017, GalaxyTrail have at least been kind enough to end the year with a bundle of blazing fast gameplay footage, plus an updated demo, allowing you to sample a lengthy and explorable level as all four playable characters. Even Sonic Mania was a glorified fan-game, made by a crew of veteran Sonic modders and hackers. As far as returning to old-school design goes, the future is indie. Check out some of our favorites of the past few years. It would be short-sighted to call Freedom Planet 2 a mere Sonic clone. Just from the footage you can see above, it’s easy to see that it draws inspiration from other platformer studios, such as Konami’s more combat-heavy Rocket Knight series, and there’s more than a dash of Treasure inspiration there, with nods to Gunstar Heroes in a lot of its boss designs. But Sonic is clearly a key design touchstone, as you can see from the spring-boosting, loop-de-looping breakneck movement speed. What excites me the most about the new footage is the sheer variety of it. While some levels are focused on running extremely fast, improving maneuvers to keep you an ideal racing line, others shown include sports-like minigames and even a massive brawl where all the playable characters get involved to help thin out a seemingly endless swarm of enemies. There’s peeks at a few interesting boss fights as well, most of which adhere to a very Treasure/Konami-style multi-segmented design using lots of sprite rotation effects. Plus, those rideable oversized baseballs just look like fun. Launching yourself into the sky with a perfect home run swing feels weird and exciting and nonsensical, as all the best platformers are. As mentioned, you can give the game a try for yourself. Accompanying the new gameplay trailer is a heavily updated demo, bringing all four playable characters far closer to their planned final specs, with improvements to balance, new moves, and more polished sprite-art in many cases. There’s even a photo mode that allows you to pause the game and take posed selfies with enemies, if that tickles your fancy. You can wishlist the game, and grab the demo via the Steam store page here. While no firm release date has been set, 2018 seems a safe bet, given the sheer volume of content shown in the trailer above.